Just as the acorn contains within it the blueprint of the fully-grown oak tree, each of us holds within us a unique pattern for what we can become. Given the right conditions, we will grow in time and in harmony with the seasons. An environment that is both supportive and demanding establishes the inner resources we need to give ourselves the best opportunity to awaken, embody the dreams we hold deep within us, and develop our potential as creative and empowered human beings. In the Movement Medicine Apprenticeship Programme, our intention is to provide such an environment to enable you to reach your full potential. In the context of this, you will be supported to find a healthy balance between accepting and being who you are, and continuing your evolution towards becoming all that you can be, making your contribution to the world and realising your dreams. This happens through a deep immersion in Movement Medicine practice and the support of a strong staff team and circle of peers. Ultimately, the Apprenticeship Programme is a journey towards deepening your own medicine, creativity and offering in the world. Your expanding self-knowledge and healing are part of this. 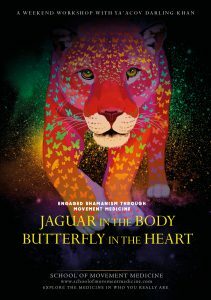 During the programme, our work will take us on a journey of embodiment through Movement Medicine practice using the teachings of the Movement Medicine Mandala as our guide. Individual feedback is essential to help each of us make conscious, and then work with, our own blind spots. Therefore, we and our small team of experienced staff and Faculty will work with you individually to get a clear sense of where you are in your life, help you to establish focus, direction and intention, and, together, generate a dynamic, practical and tailor-made programme for your apprenticeship. 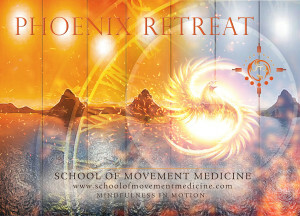 want to join the community of Movement Medicine Practitioners. go on your merry way wherever life leads you. The programme consists of three core modules with Susannah and Ya’Acov, plus two five-day electives with either one of us or our Faculty. The electives will cover a variety of specialties, including voice work and video feedback (Susannah), vision quest and burial ceremonies (Ya’Acov), and work offered by the School of Movement Faculty. Nine mentoring sessions are also included in the programme. The main intention of the new structure is to give you more flexibility in how you design the timing, content and length of your apprenticeship. The three core modules with us will be offered every year so that you can spread the time of your apprenticeship over a longer period of up to two years, and also choose to take any of the modules again as part of a deep-diving community of Apprentices. After your initial programme, the tuition fees for any further modules or electives you choose to take will be reduced by 50 per cent. These modules and electives will also be open to any Apprentices from previous programmes who wish to resource themselves in this way. The Apprenticeship Programme starting in 2019 will be the last to be offered by Susannah and Ya’Acov and so it will be necessary for those joining the programme at that time to complete all three core modules by the end of July 2020. These modules will be repeated each year as well as a choice of three or four electives from which you can choose. Your first core module must be the Intention module and you must complete all modules and electives within two years. ELECTIVES: Two five-day electives are included in the price of your apprenticeship. Each year, the School will offer a variety of electives from which you can choose. Once you have been accepted on to the Apprenticeship Programme it may be possible to include electives before, as well as after, you take the Intention core module. Please be in touch if you are interested in doing this. If you wish to take more than two electives, you will receive a 50 per cent reduction on the tuition fees for any additional electives you choose to take. MENTORING: The Apprenticeship also includes nine individual Skype coaching/mentoring sessions with staff members, including one session with Susannah and one with Ya’Acov. To get the most out of your apprenticeship, it is important to feel adequately prepared. Below we outline the minimum prerequisites for the Apprenticeship Programme, as well as recommendations for further preparation. Please feel free to apply if you are still missing a few courses but plan to complete them before the course begins. Initiation – An odyssey through the nine life cycles. 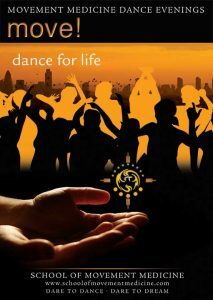 *Of this, a maximum of 75 hours can include related conscious dance practice, such as Open Floor, Tamalpa Institute, the Amerta work of Suprapto Suryadarmo, 5Rhythms and Soul Motion. 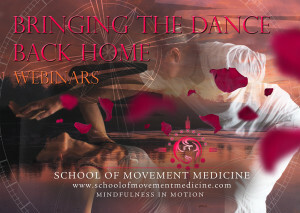 The remaining 100 hours must be Movement Medicine practice, of which at least 75 hours must be with a qualified Movement Medicine Teacher (or Ya’Acov or Susannah). 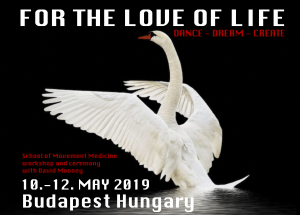 Of these 75 hours, at least 25 hours must be in School of Movement Medicine workshops (with Ya’Acov, Susannah or Faculty). The prerequisites listed above are a minimum. 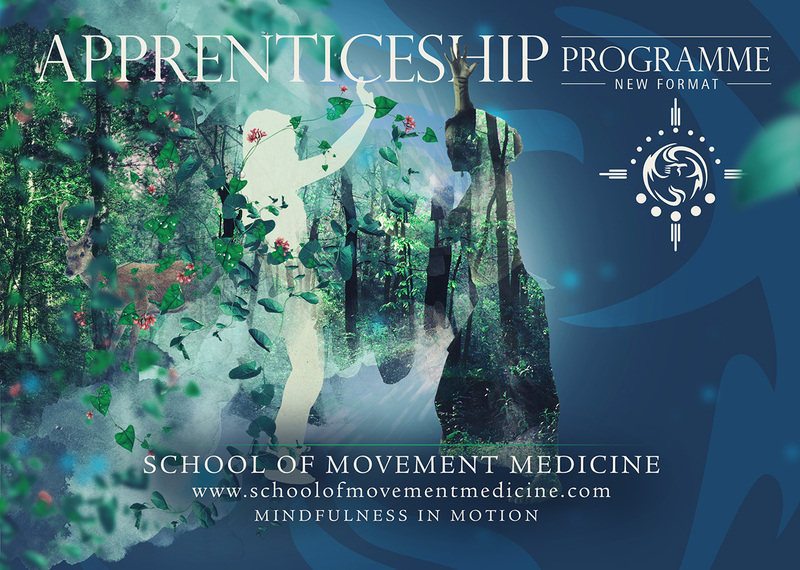 We encourage those wishing to apply for the Apprenticeship to dance deeply with Movement Medicine as much and as frequently as possible. As well as attending classes and weekend workshops, we particularly recommend that you attend Re-Creation and any other intensives you feel drawn to. Once you have been accepted on to the Apprenticeship Programme it may be possible to include electives before, as well as after, you take the Intention core module. Please be in touch if you are interested in doing this. Details of additional electives to follow. Location: Rill Estate and additional locations in Devon and Somerset, UK. Applications are still open for the Apprenticeship starting in October 2018 and also possible to apply for 2019/2020. Please be in touch with us as soon as possible if you would like to apply. Applications should be sent to roland@rwevents.co.uk. You need to transfer the £95 non-returnable application fee at the time of your application.